Whenever I go to RWA I always attend the luncheons. Not because I necessarily need a steady diet of "conference chicken" - but I figure, heck I paid for the meal as part of the registration, I'm going to eat it. For those of you who have met me in person? Yeah, I don't look like someone who ever turns down a meal. Anyway, it also gives me a chance to meet new people and this year I sat next to Dorothy Wiley, who was getting ready to self-publish her colonial American wilderness series. I happen to like westerns, and really love frontier stories when "the wild west" was - you know - Kentucky and Ohio. So I was all on board to try her first two books. They're not quite what I expected, and to that end I'm going to chalk them up as "not my thing." But they might be your thing - so here we are. 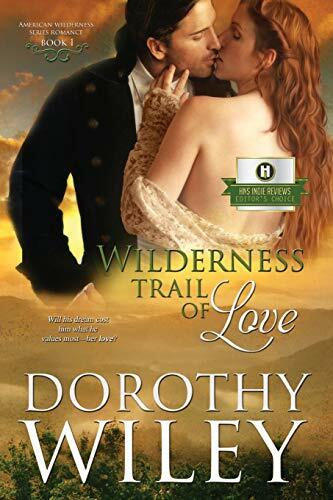 The story starts with Wilderness Trail of Love, which I have a hard time classifying as a romance. 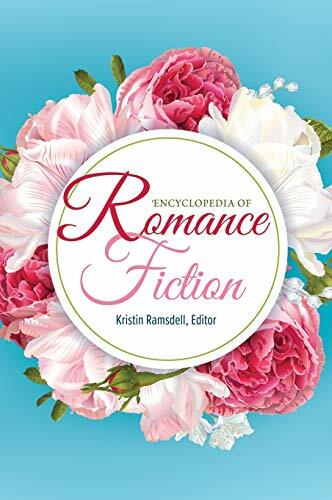 If I were trying to sell it to a publisher I'd probably call it "romantic historical fiction." Stephen and Jane are married at the start of the book and have four children together. They're in love, farming in New England, and Stephen's family is close by. But Stephen has itchy feet, and hearing about Daniel Boone's adventures in Kentucky have filled his head. He's trying to convince his brothers that moving the family west is the way to go - never mind he hasn't told his own wife yet. Then Jane catches the eye of an odious Indian slave trader. Now, with his wife in danger, Stephen sees his chance to realize his dream of a land grab out west. This story was OK for large portions, although Stephen is one of those heroes who is prone to "magical thinking." How he thinks Kentucky, an untamed wilderness, is going to be "safer" for his wife and kids then New Hampshire is a mystery - but countless people went out west without truly knowing what they were in for, so it's not impossible to roll with. I also felt like the danger his wife was in was almost like a convenience for him to get what he wants. He's too big of a wuss to tell her of his ambitions, but her nearly being killed is all it takes for him to be all like, "Oh well - off to Kentucky we go!" I just didn't really care for him. Jane is better, but then towards the end she's all apologetic to Stephen and I'm left thinking, "Oh honey, no. He should be apologizing to you!" 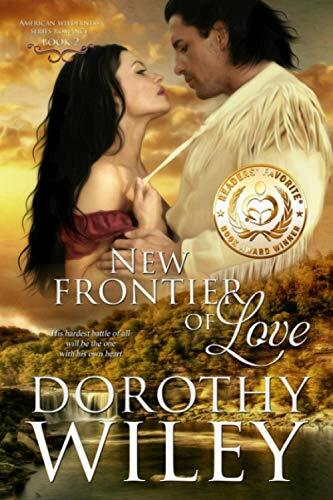 New Frontier of Love is the second book in the series and picks up immediately where Wilderness Trail of Love left off. This book was much more of a traditional romance and was a stronger story than the first. This is the story of Sam (Stephen's brother) and Catherine, a new widow whose husband was murdered by bandits. She's mightily attracted to Sam, who is one of those heroes who has loved once, it ended poorly, so naturally he shall never love again! Except, minor detail, he can't seem to get Catherine out of his mind. And there she is, every day, traveling with his family. Catherine is headstrong and resilient while Sam, a Revolutionary War veteran, is wounded with secrets. By this time in the saga the family has made it to Kentucky, and complications ensue in their desire to secure a land grant. The land is beautiful, but danger is all around them, and soon Catherine and Sam are fighting for their lives. I found Catherine and Sam to be a more interesting couple and a good fit for each other. 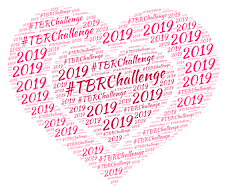 I also found the pacing of this story to be improved over the first, and while there are plenty of secondary characters around vying for face time, I do think the author spent an adequate amount of time on the romance. All this being said, what these first two books illustrate quite clearly is that the author is, most definitely, giving us a family saga - but instead of a 1000 page book, she's moving it through several books as part of one series. And while this story was more romance than historical fiction? It's still a book where Bad Stuff Happens. If you're a reader who wants everything to be Unicorns Pooping Rainbows? These books might have a little too much grit underneath the fingernails for you. I read these two books back-to-back, which fit well considering the respective time lines. My grade for both would be somewhere in my C range. They were OK, I had some issues, but I see elements at play here that I think for the right reader these could really hit the spot. Frontier colonial stories are extremely rare (outside of Pamela Clare's historicals - seriously, can you name one?) and for an audience hungry for these types of stories, these may be just the ticket. If the Sacketts/Louis L'Amour had fan fic - real romance added to their stories - that would be frontier romance extraordinaire. I loved that whole series as a tween/teen, but I'm a little afraid to go back and reread.